I found a lot of things interesting about this collection of a recent comic book series featuring the "Dresden Files" characters. The writer of the prose series, Jim Butcher, wrote the comic himself. The artist Ardian Syaf uses a kind of generic superhero house style that would look out of place on any mainstream comic book from around 1999-2002. I can't tell if that's a sign that the Butcher and the Dabel Brothers folks prefer that kind of look to all others available to them or that adaptations lend themselves to artists maybe just a bit out of step with what's currently driving a lot of similar material. I also know that it's a successful book, and seems to have been received well by fans of the series -- enough so that a recent complaint that the New York Times list didn't reflect comics sales was generated by this volume. One thing that stays with me is that that the project seems uniquely suited to comics. It could have started there, quite easily. The lead is a perfect 1990s not-superhero superhero. He's gorgeous, fit and an elite practitioner of his job while being sold as an average joe because he likes beer and isn't Bruce Wayne-rich and the apartment he shouldn't be able to afford is sort of dirty. He has a tragic past. He's surrounded by slightly combative supporting characters that embody modern character cliches like they're getting a royalty. He wields a special weapon and hunkers down in a cool hideout. Like many of those kinds of characters' exploits, I found this adventure of a demon-related death in the Lincoln Park Zoo -- mere yards away from RJ Grunt's! -- deathly dull. For one thing, it's told in a visual language now slightly outmoded that I never cared for in the first place: the reboot of traditional superhero basics in light of "moody," more extravagant artists like Mike Mignola and Todd McFarlane, just without anything that makes the first really good or the second at the very least interesting. I can't detect for ten seconds the kind of thematic depth that would make this kind of material hold my attention, nor do I see a vital application of craft in any of its creative elements. It's not even a good Chicago book, with a throwaway comment about the constant road repair and the zoo setting hardly making up for the generic city landscapes depicted and the lack of more significant detail work. Chicago is supremely miscast as a generic American city backdrop, like getting Sid Haig to play a suburban dad to whom you're not supposed to pay attention. Admittedly, it is competently told, mostly I think thanks to Butcher, solid in its unassuming mainstream comic book deliver-the-goods way, and I have to imagine it would entertain folks that were already fans of the character and setting and don't really give a hoot about the degree to which something is successful as comics art. In fact, it's almost a perfect distillation of what such a fan would think a comic book version is like more than it has life and liveliness of its own, if that makes any sense. 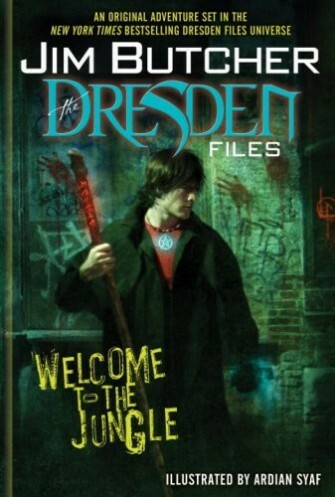 If you're the kind of person that tends to like the more popular variation on a powerful idea, plus you really, really love Dresden Files, I can see this being the comic book for you. It's not for me, nor, I imagine, just about anyone reading this review.